- Create a Whale creature card. 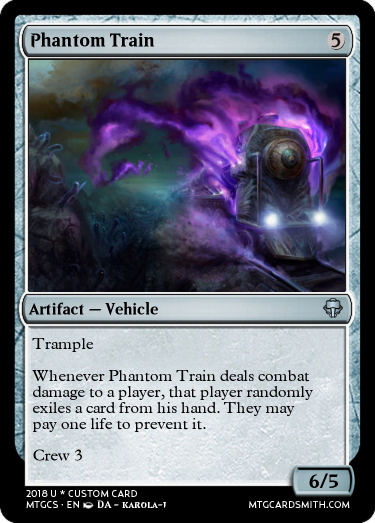 - Create a Vehicle that's a train. Rewards: Favorites on your two most recent cards! Today's challenge is to submit a prototype card for a Homodeus creature. I want to get an idea for how much work I need to put into organizing the description of Homodeus for the circuit challenge. Thank you! It’s nice when a vanilla creature can win. Cards don’t have to be mechanically elaborate to be interesting pieces of art, I don’t think. 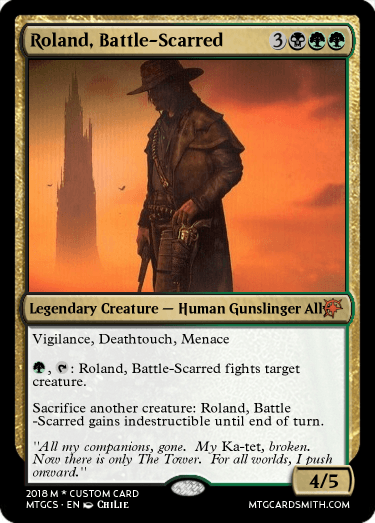 @jpastor there is already a mechanic called ally from Battle for Zendikar. Maybe another name would work better? I would suggest Network or Link (because of the cyborg theme) as replacements. 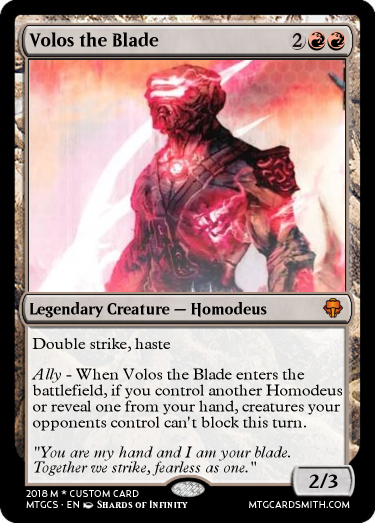 Challenge: The next circuit challenge I may propose to the admins will be to create a new creature type called Homodeus. It's technically May 17th here, but I started the card about an hour ago, during May 16th. 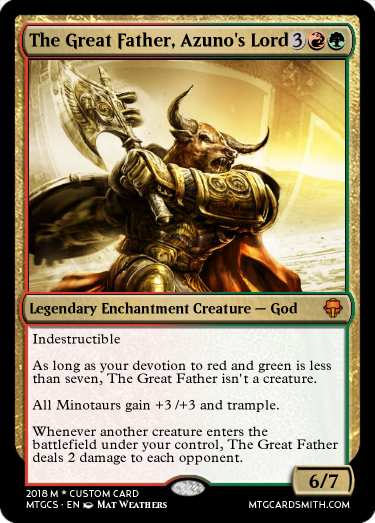 EDIT: fixed the card name and fixed the author name. (1)-- Create a Wall creature. 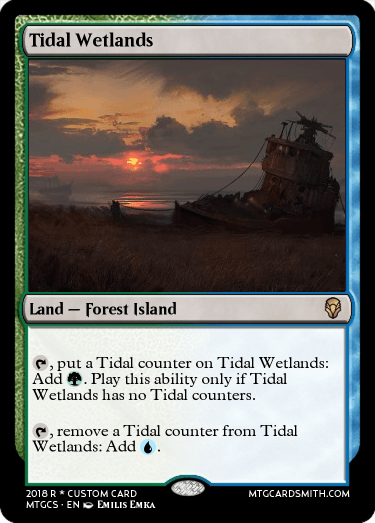 (2)-- Create a dual land with a coastline in the artwork. 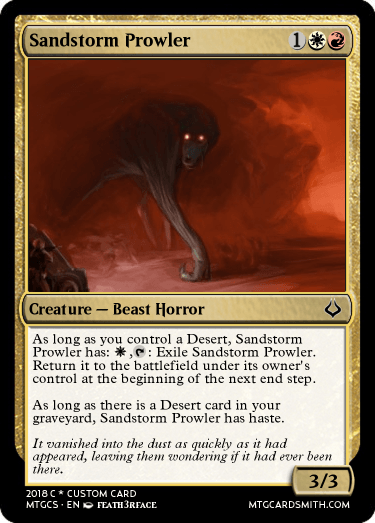 (3)-- Create a spell that buffs the toughness stat of a creature or creatures. Rewards: 3 favorites of my choice. Yesterday's Winners: @bnew07 @Scott_Anderson -- You both can each submit any old card that fits for these challenges today. @jpastor I spelled the card name incorrectly. If I win today I will decline any prize. It should say COURIER asset. I conflated courier with carrier. Rewards: Something better than usual. Human Berserker, Human Soldier, Human Monk, etc. These are existing Human subtypes. Make a new one. Thanks a lot @jpastor ! Challenge: Submit any multicolored card you created in 2018. Rewards: A favorite on the submitted card. 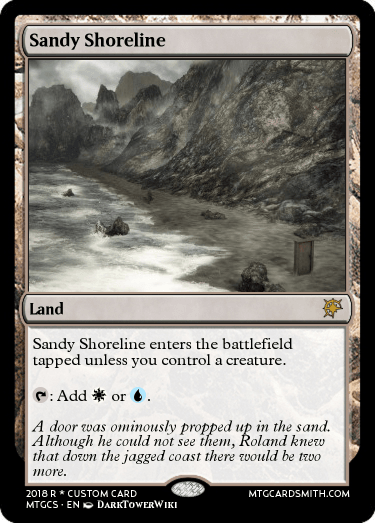 A card I have great love for, but never got any attention. 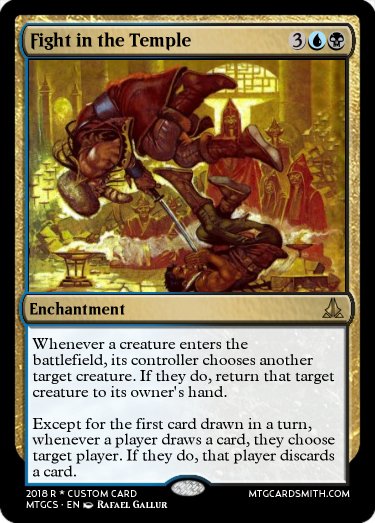 I know you've seen this card before, but I like it. Should be an uncommon though. 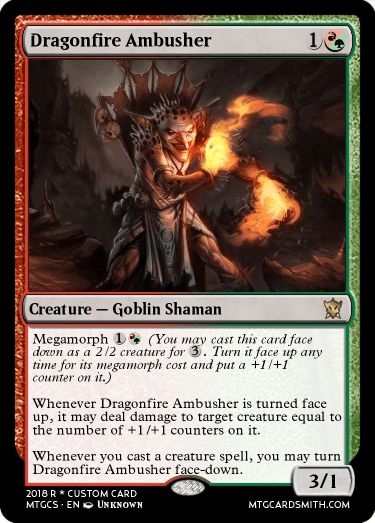 Challenge: Submit any card youve created with two or more custom mechanics from the year 2017 or 2018. 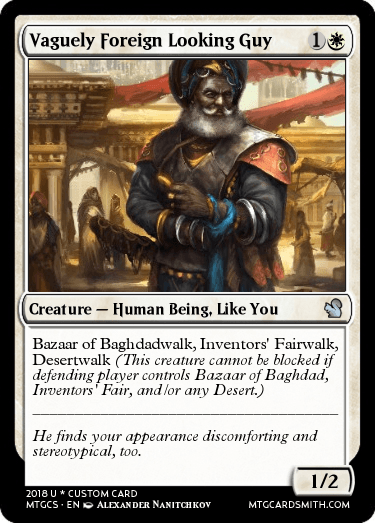 Two custom mechanics on one card?